Closing address to a fantastic #ULHGPERIOPCONF conference by CDONM @MaireadOConnel3. Congratulations & well done to Declan & periop team! Pictured with the Da Vinci Xi Dual Console Robot at UHL are (l to r): Suzanne Dunne, Head of Strategy, UL Hospitals Group; Fiona Sampson, CNM3, UHL, Dr Evelyn Asamoah Ampofo, University of Cape Coast (UCC) Ghana, Margaret Gleeson, Chief Director of Nursing & Midwifery, UL Hospitals Group, Dara Walsh, Biomedical Communicator,UL, Christiana Okantey, University of Cape Coast (UCC) Ghana & Maebh Barry, Lecturer, Department of Nursing and Midwifery, UL. Dr Evelyn Asamoah Ampofo and Christiana Okantey were in Limerick as part of a University of Limerick (UL) collaborative agreement with UCC, Ghana. 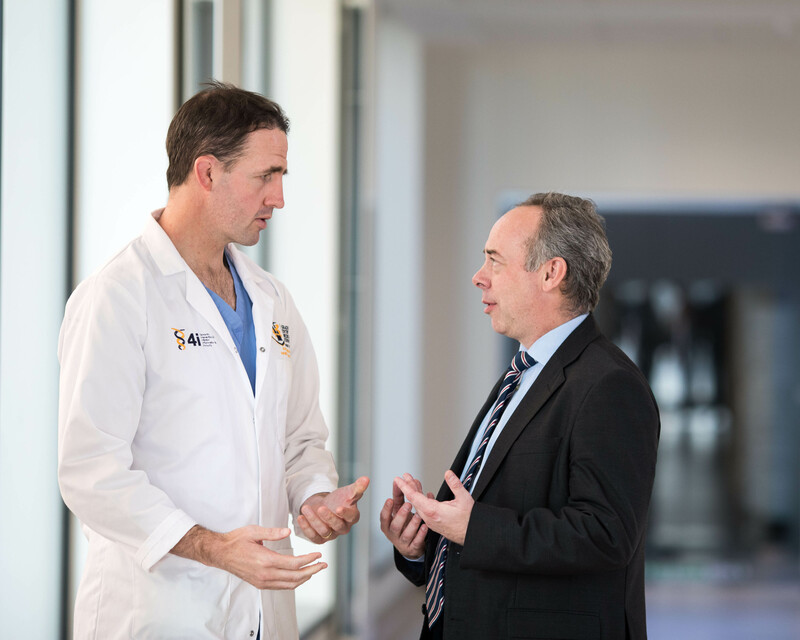 The visitors expressed a wish to see the Da Vinci Xi Robot at University Hospital Limerick as part of their visit and hear about the Group’s Robotic Surgery programme. 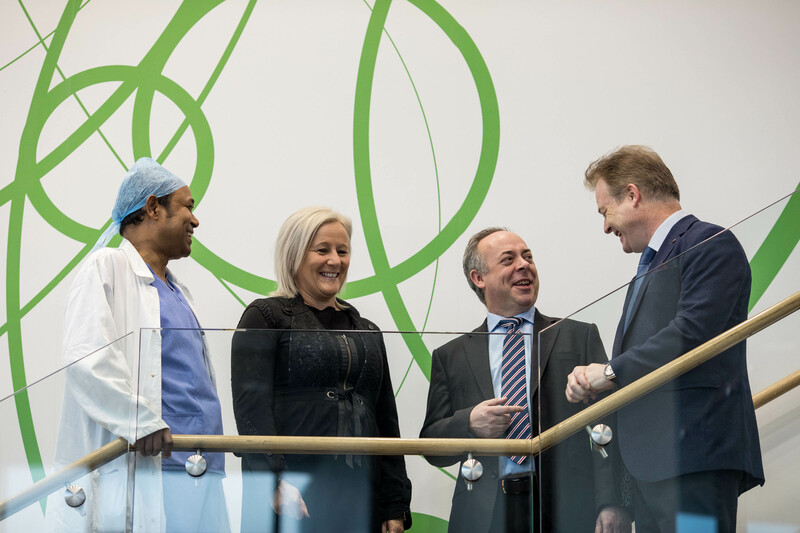 In addition University Maternity Hospital Limerick welcomed the visitors to the maternity site, where they met with midwifery and nursing staff there. Pictured with the Da Vinci Xi Dual Console Robot at UHL are (l to r): Fiona Sampson, CNM3, UHL, Dr Evelyn Asamoah Ampofo, University of Cape Coast (UCC) Ghana, Christiana Okantey, University of Cape Coast (UCC) Ghana & Maebh Barry, Lecturer, Department of Nursing and Midwifery, UL. Great having a visit from Ghana today to see the da Vinci Xi Robot Dr Evelyn Asamoah Ampofo and Christiana Okantey from the School of Nursing & Midwifery, University of Cape Coast, Ghana and Maebh Barry from the Dept of Nursing and Midwifery, UL. As ever Suzanne Dunne giving the impressive stats on the program and Fiona Sampson championing the role of nurses in robotic surgery. 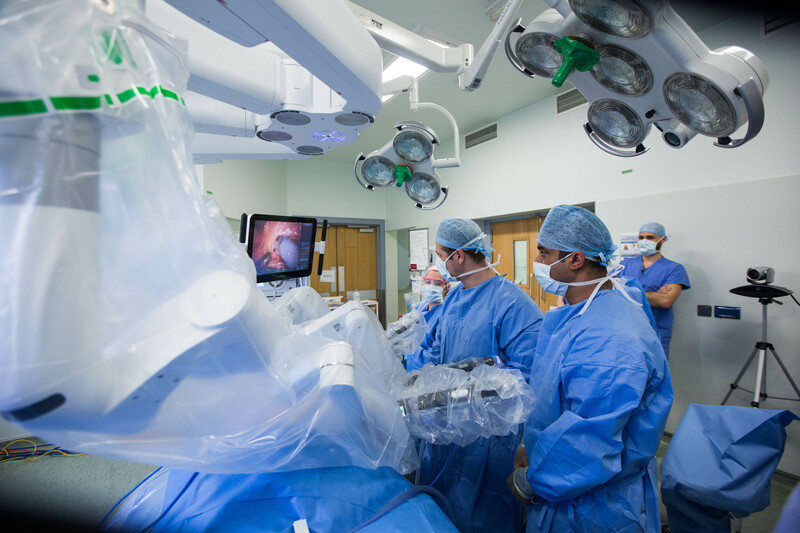 Robotic surgical procedures are being live-streamed from the operating room at University Hospital Limerick (UHL). 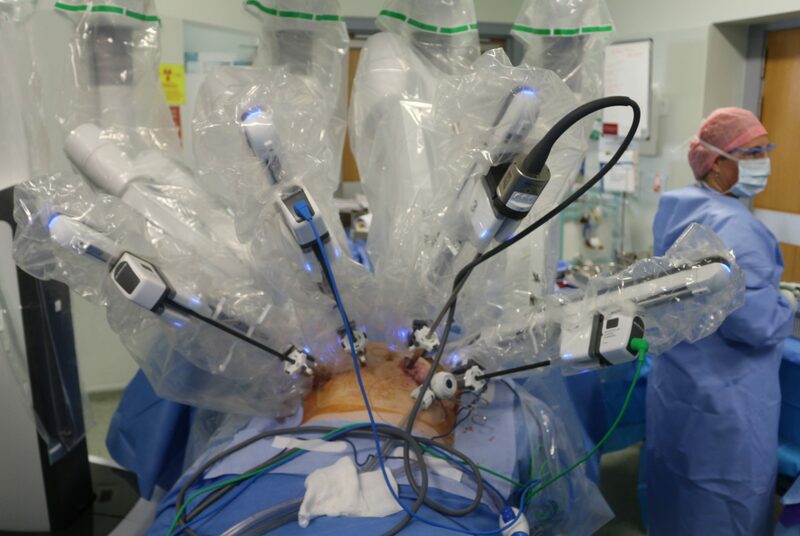 The surgery was transmitted to the new Clinical Education and Research Centre (CERC) auditorium at UHL, as part of the educational component of the Group’s robotic surgical programme. 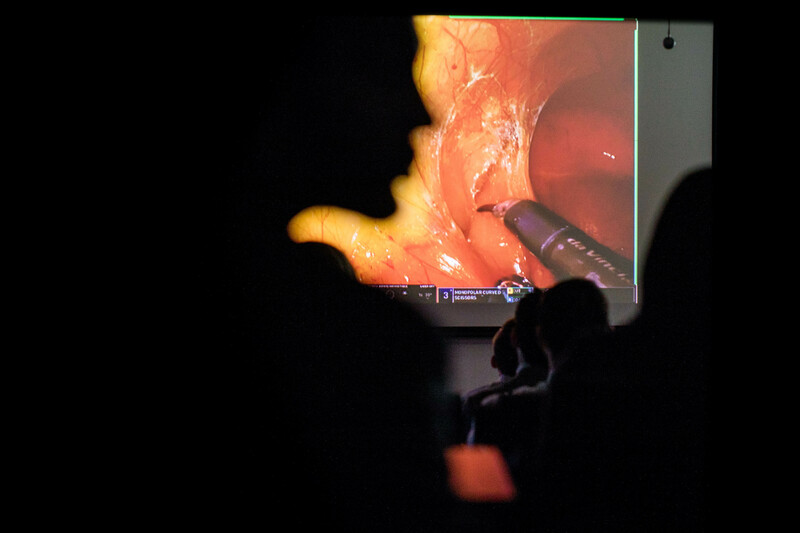 More than 100 Consultant Urologists, Colorectal Surgeons, Senior Registrars, Gynaecologists and health professionals from around the country attended the annual South West Urological Meeting at the CERC ,where an inaugural live-stream of a robotic surgical procedure took place. 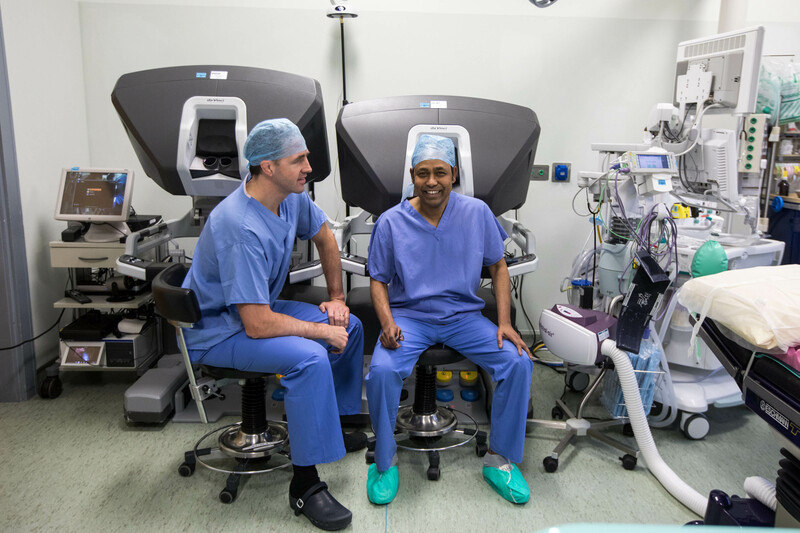 The surgery was carried out by Consultant Urological Surgeon Ben Challacombe who is Senior Lecturer at Guy’s Hospital and King’s College London. 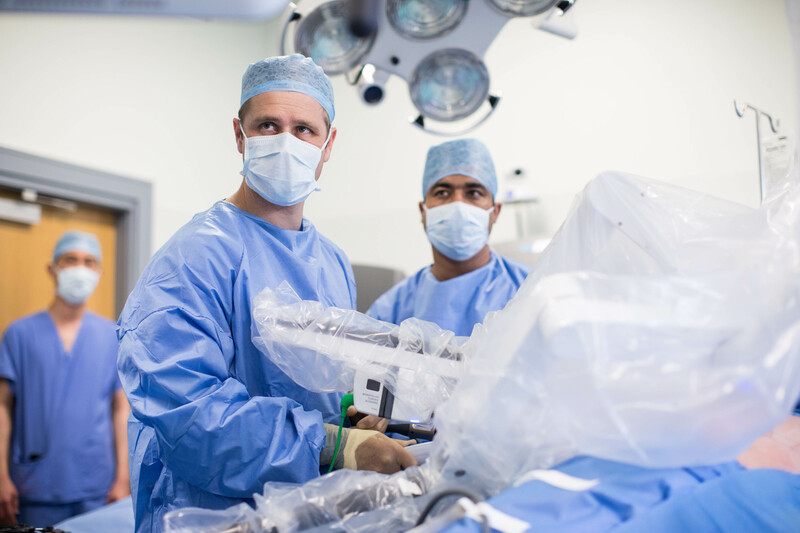 Urologist Rick Catterwell performing robotic surgery at UHL. Photo: Sean Curtin. Subhasis Giri, Colette Cowan, Calvin Coffey and Austin Stack discussing the live streaming of robotic surgical procedures at UHL. Photo: Sean Curtin.